Chicken Blog: 8~ Hey Kids! Geoff asked, "How old are the goats?" My brain goes back to the spring of 2012, when Alex and Suki were seniors in high school and Maria was only 7 years old, Max was finishing middle school, William and Geoff were building our "barn." Way back. I made a quick calculation... 2017 less 2012, and voila! "They're five! They're five years old." It seems like it was just last week when I was introducing the kids. 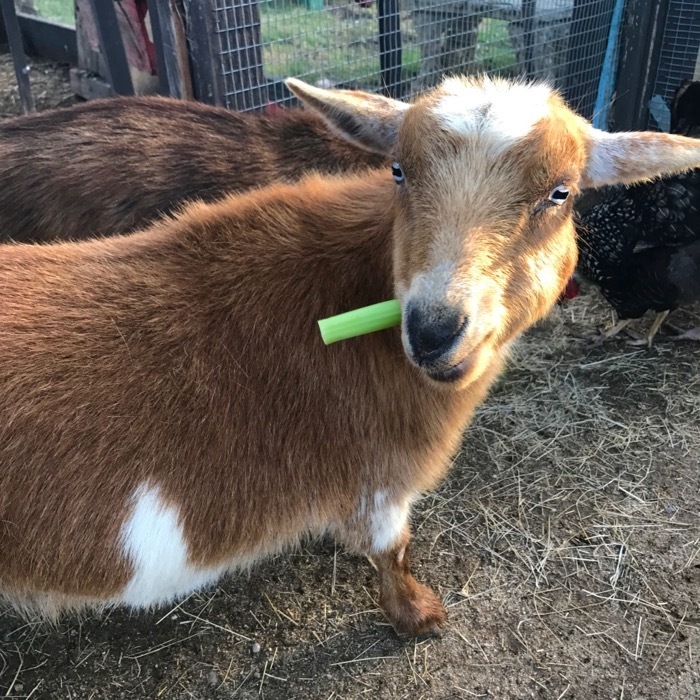 Take care... only *click* on that link if you can totes handle cute goats! I am constantly so aware of my growing inability to place something firmly in time -- it happened just recently, not that long ago, was it a few weeks or a few months or a few years ago? It seems like forever, and like no time at all. We met those adorable goats when they were just babies; but it was just a year or two (maybe three?) ago? Five!?!? Yikes. Five. Oh my gosh! Now it's my turn to be memory-impaired. You did meet them! They were babies! Then that visit, that could have been last year, but not more than two years ago, was five years ago?! Well, good grief. This means you should be booking your Aloha get away with a sizable California layover! You're due! Your goats are very cute, I always thought so. 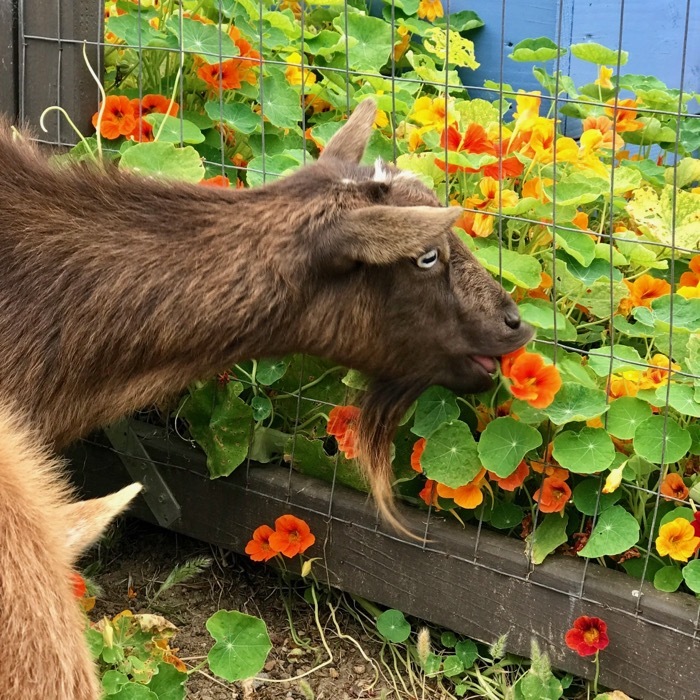 And look at that very pretty and delicious-smelling and tasting salad they are eating - nasturtiums. Lucky goats.